SAN FRANCISCO—At a special open meeting via teleconference on June 8, the Judicial Council will consider adopting a proposed rule that would direct courts to allow people who have traffic tickets to appear for arraignment and trial without deposit of bail, unless certain specified exceptions apply. The rule also states that courts must provide traffic defendants with notice of this option in any instructions or other materials provided by the court to the public. The rule was developed on an urgency basis at the request of Chief Justice Tani Cantil-Sakauye in response to recent concerns about court procedures for deposit of bail when defendants challenge infraction citations in court. The council advisory bodies that developed the rule recommend it be made effective immediately. Due to the exigent nature of the rule’s creation, the deadline to comment on the proposed rule is June 5. The June 8 council meeting, which starts at 8:00 a.m., will be audiocast live on the California Courts website. 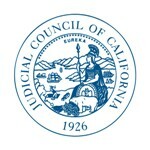 In addition to this new court rule being considered by the council, the Commission on the Future of California’s Court System, appointed by the Chief Justice, is taking a broader look at effective public access to California’s courts, including traffic proceedings and the impact of mandatory and discretionary fines, fees, and penalties on court users.